A Supreme Court Bench comprising of Chief Justice H.L. Dattu and Justice A.K. Sikri, on Tuesday, quashed a batch of appeals filed by various Bar Councils, ruling against the rule that set an upper age limit for law graduates to enroll as lawyers. These rules prescribed 45 as the upper age limit for enrolment as advocates. The Bench noted that the Parliament had not fixed any upper age limit for pursuing a law course and hence, by doing so, State Bar Councils were differentiating between two similarly placed individuals. 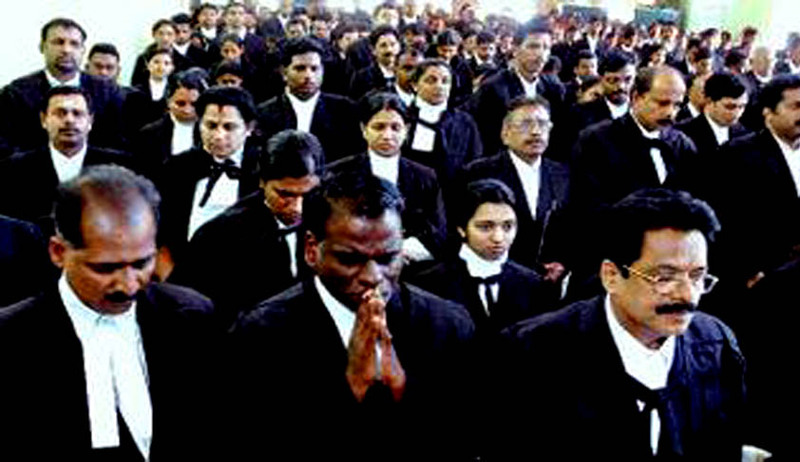 The Court was hearing a petition challenging Constitutional validity of rules framed by Bar Councils which prohibited people from entering the profession after retirement or resignation. Advocate Ardhendumauli Kumar Prasad, who represented Bar Council of India, argued that the rule was enacted in order to protect the interests of lawyers and to upkeep professional standards. It was also incorporated with a view to bring uniformity in professional practice across states. It was also argued by Bar Councils of Gujarat, Punjab and Haryana that the age limit would preserve the standards of education and prevent people without a formal education from entering the profession. They cited the example of people who pursue a law degree while continuing with other services.